McDonald’s came to us and asked for help in making sure a 30 year old food icon remained magical and relevant to families. The Happy Meal simply must move with the times. But evolution doesn’t always mean radical change. For us it meant a bit of ripping, folding and sliding. Meet Happy Goggles – a unique VR viewer made from an ordinary Happy Meal box. We believe the possibilities are endless. We try to bring education to our Happy Meals, and the answer was kind of staring us in the face. – Jeff Jackett, Marketing director McDonald’s Sweden. Its potential reach is almost unfathomable. The company sells over a billion Happy Meals each year. If each were fit with VR capability, they’d outscale the initiatives of Oculus, HTC, and Samsung combined. 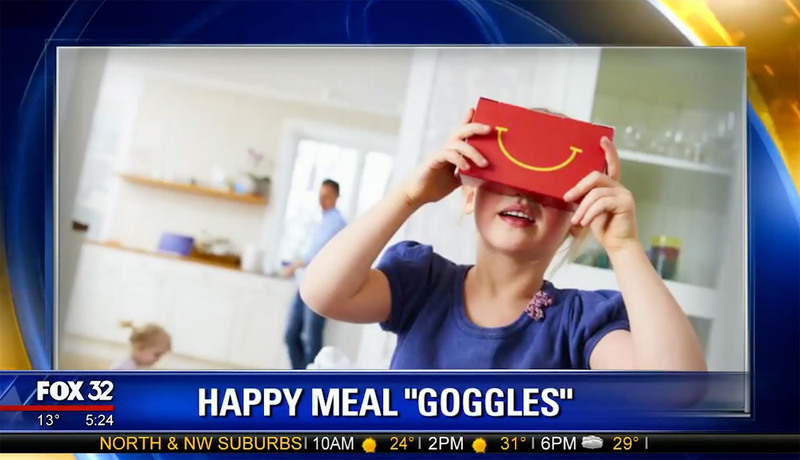 A Happy Meal box, if you think about it, is the perfect starting material for a rudimentary VR headset.